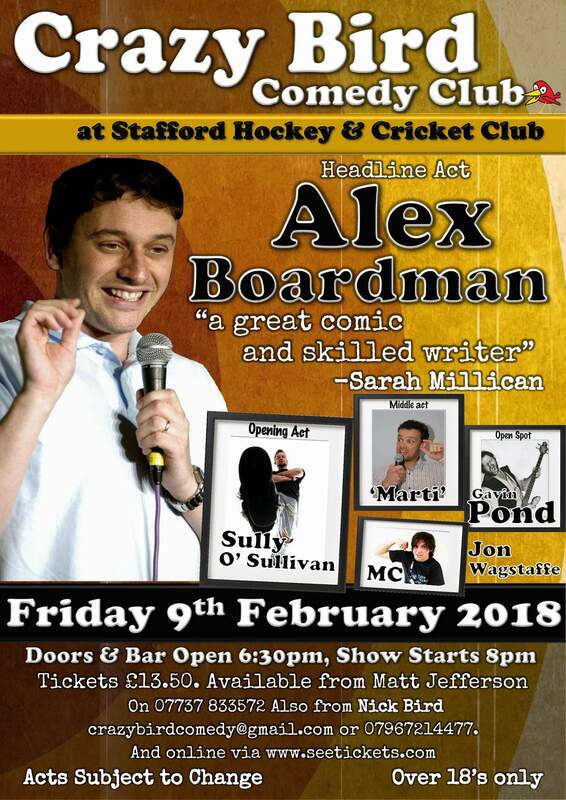 The CrazyBird bring their ever popular Comedy Club to Stafford Hockey & Cricket Club on Friday 9th February 2018 for a night of stunning Stand Up comedy, consisting of four professional comedians from the UK and International circuit. The night will be hosted by MC Jon Wagstaffe “A naturally sharp & funny comedian, fresh like everything from Tewkesbury.” – Patrick Monahan, who will regale you with stories of his weekend, complete with raucous detours, unfinished sentences (not that it meant you couldn’t follow) and inappropriately mixed metaphors! Opening the show will be Kiwi Sully O’Sullivan “had the audience showing their appreciation with fits of laughter and applause” channel4.com. Sully O’Sullivan’s been declared a highlight of the New Zealand International Comedy Festival by The NZ Herald, a highlight of the Glasgow International Comedy Festival by The Scotsman, featured on Australian TV’s ‘The Comedy Channel’, hosted a sell-out stand-up tour of Croatia, won Canada’s annual ‘Improvaganza’ Tournament, and in 2012 completed a 50 date UK tour alongside cult Aussie Comic Steve Hughes. Blasting through the middle section will be Gavin Pond who will be treating you to his style of stand up that include a mixture of songs with his trusty guitar and story based anecdotes. Accompanying Gavin is our favourite German ‘Marti’. Marti loves to mock British local customs, language and habits. His naïve observational content and attempt at British wordplay give his storytelling a broad and entertaining appeal. Closing the show we are delighted to have the superb Alex Boardman “…a rare mixture of wit and charm” The Guardian. Alex is now one of the most sought after acts in the country due to his ability to interact with any audience and to seemingly conjure something out of nothing. His free flowing style and natural charm breeze through in performances. His unique brand of “Flattery and abuse” is done with a lack of malice and a big sense of fun. Alex’s pedigree is of good stock having written material for John Bishop’s recent Stand Up tour, live material for Jason Manford on 8 Out of 10 Cats as well as warming up audiences for numerous household comedians. Be quick folks as tickets are selling quicker than fidget spinners! 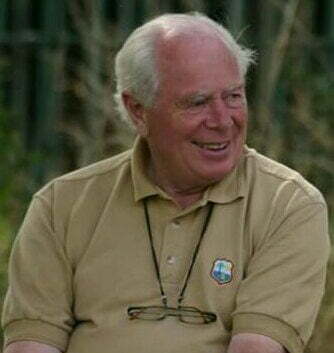 It is with great sadness that we announce the passing of our beloved Club President, Dennis. He will be so greatly missed by us all. 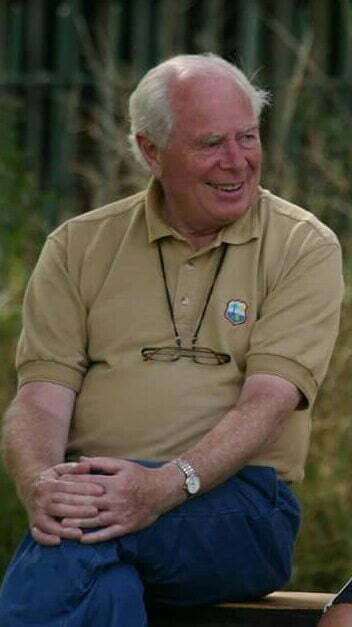 The funeral service will take place on Monday 15th January 2018, 2pm at The Collegiate Church of St Mary, Stafford followed by cremation at Stafford Crematorium and afterwards all are welcome to join the family to further celebrate his life at his beloved Stafford Cricket and Hockey Club. 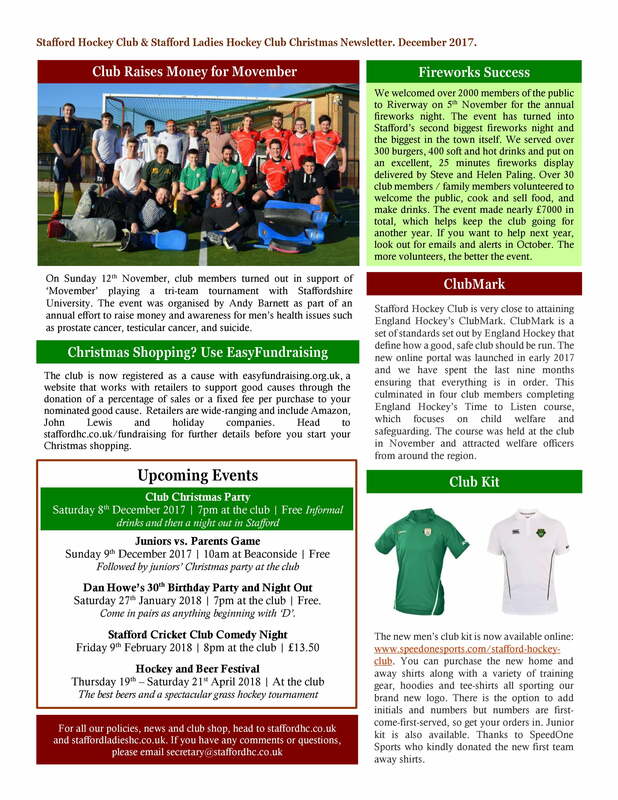 Any donations may be given in his memory to Katharine House Hospice who cared for him so well during the last few days.